The Marshall Gallery is proud to present the works of Somers Randolph. Both the artist and Faust Gallery are donating works that will be raffled during the event to a very fortunate collector. The raffle will benefit Nick Lowery's foundations, Champions for the Homeless and Nation Building For Native Youth. Come enjoy a night of art, giving, and fun! The Marshall Gallery is proud to present the works of Somers Randolph. Both the artist and Faust Gallery are donating works that will be raffled during the event to a very fortunate collector. 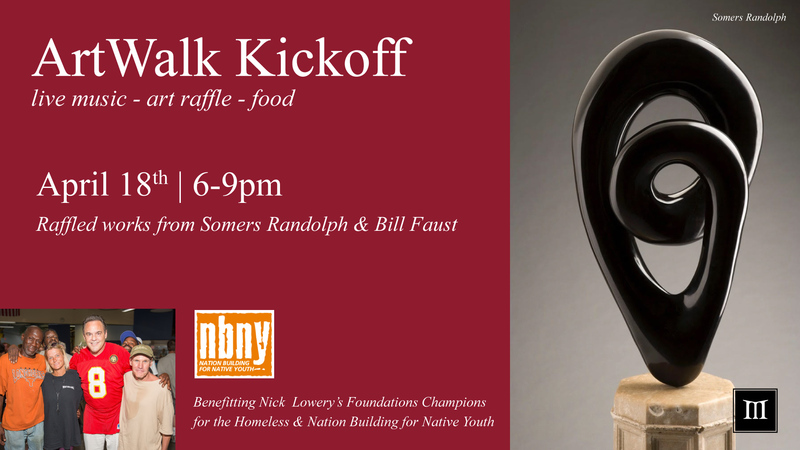 The raffle will benefit Nick Lowery’s foundations, Champions for the Homeless and Nation Building For Native Youth.